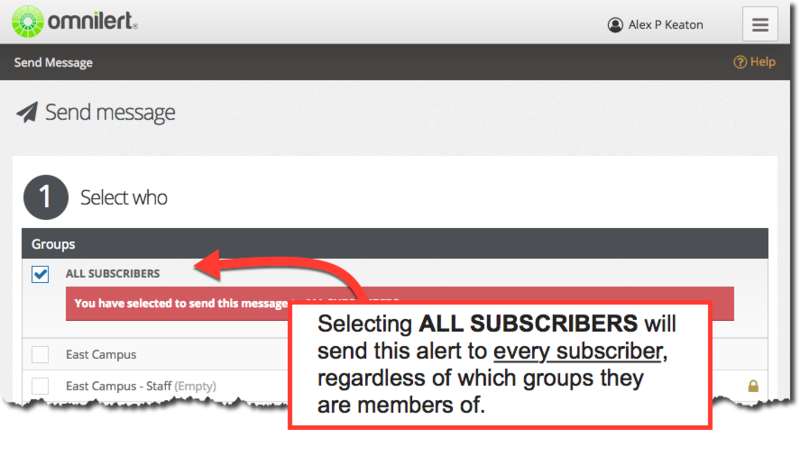 When composing a message, the option to choose "ALL SUBSCRIBERS" will send the message to every subscriber in the system, regardless of their chosen groups or the groups you are shown when composing the alert. Note: By default, access to this function is available to Super Admins, Group Admins, and Content Admins. Looking to remove access to "ALL SUBSCRIBERS" for your admins? Access to this feature can be removed from custom admins. Click here for details.